This incredible purse turns every outfit into a stunner. Look at Mr. Flamingo's cute neck! 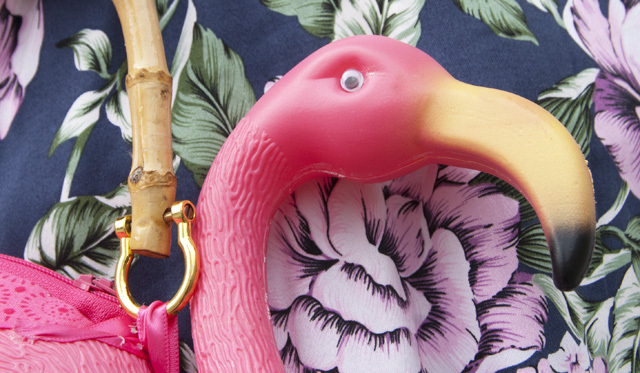 Isn't this the craziest handbag you've ever seen? You can never go wrong with a flattering 50s dress. 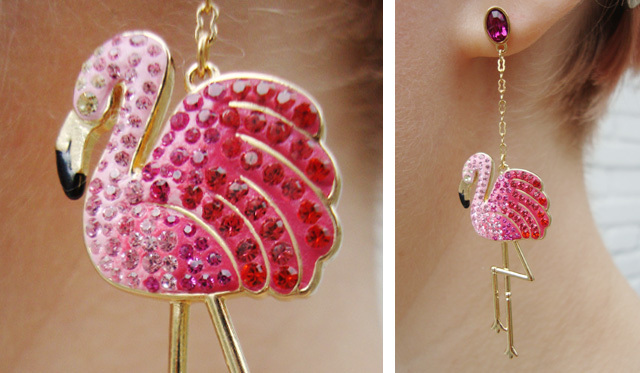 The best boyfriend in the world gifted me with the flamingo earrings. Jealous aren't you? 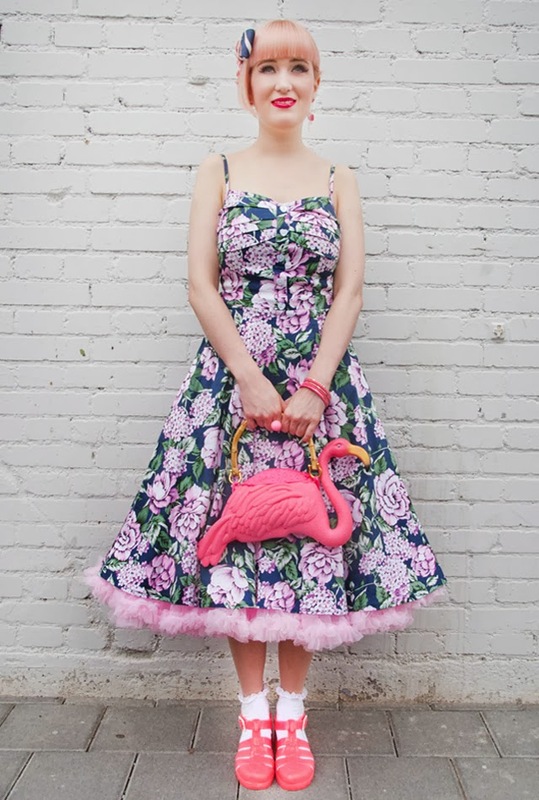 A candy floss pink petticoat completes the look. This fascinator from Japanese label Little Black Swan is made of a tie. 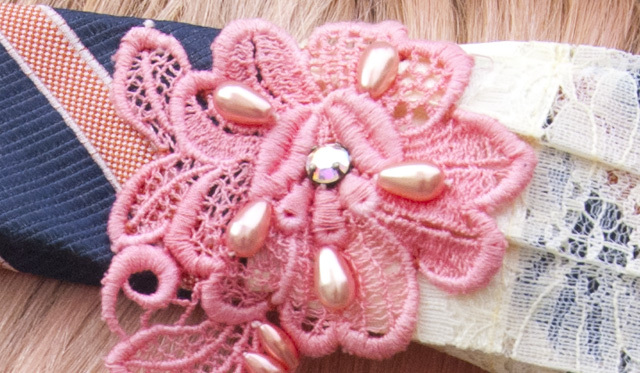 Attached lace and pearls turns it into a very female accessory. Socks and Juju jelly sandals again, my favourite footwear this year. "A summer outfit?" you might ask. Yes indeed! I was in Barcelona for a few days and there it was warm enough for a look like this. We shot this pictures back at home, because there was no time for a shooting, but I just couldn't resist to show you this look. 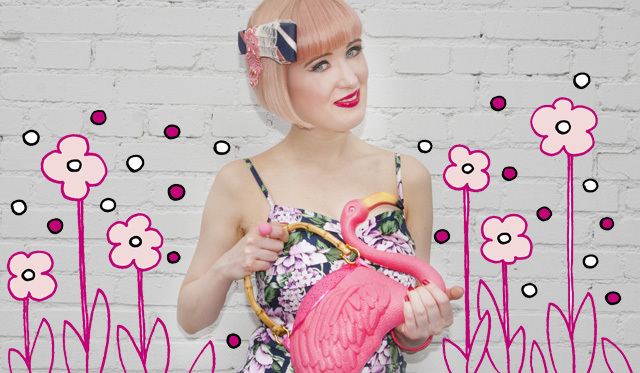 My flamingo addiction has no end and in this outfit I show you not just one, but two new flamingo accessories. I wanted to go for a rather sweet and 50s inspired look and wear a romantic flower print dress and a lot of candy floss pink. While we shot this outfit, a few little girls were watching. I heard them say that "This woman looks like a princess", which made me smile and happened to become the title of the post. I had to be very patient until I could show you this outfit for a very special reason: I had my ears pierced only for the flamingo earrings and wasn't allowed to put them on for a time that felt like eternity. But the look was just not complete without the earrings. Because I still have problems with one piercing I only wear one earring, but hopefully this will be over soon. The other highlight of the outfit is the bag. It's actually made from a garden decoration flamingo. 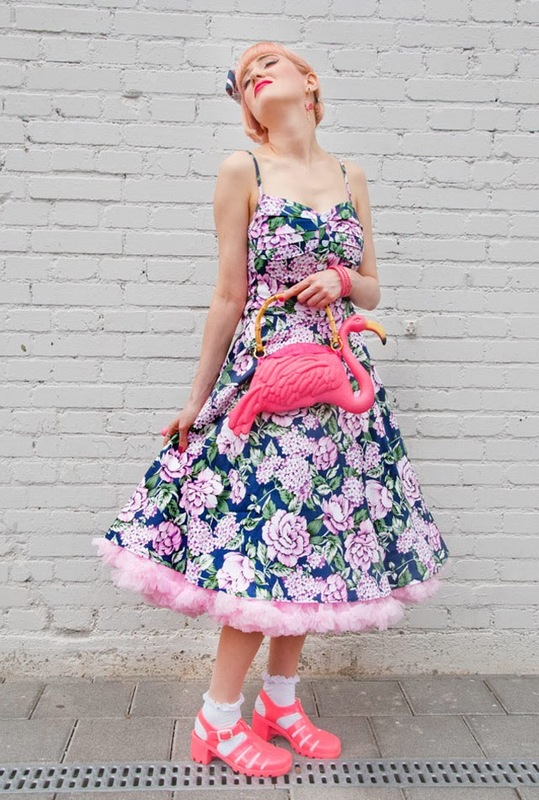 I haven't seen something like this before, just stumbled over it while giving in to my flamingo addiction and looking for flamingo things on the net for a whole eve. 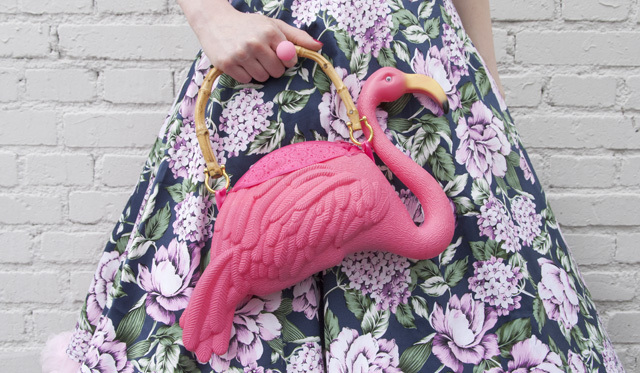 Believe me, browsing for flamingos causes an instant outburst of happiness, if you don't believe me, have a try! Please tell me you love this look as much as I do! Thank you very much my love. You would create a fab look as well with this dress, I am absolutely sure. Collectif just knows how to make pretty things. Das Kleid ist so bezaubernd! Oh my God! Amazing look! I lovecall and i need this bag!! AMAZING! I just found you through Collectif's FB and I'm happy I clicked through! You are amazinggg! 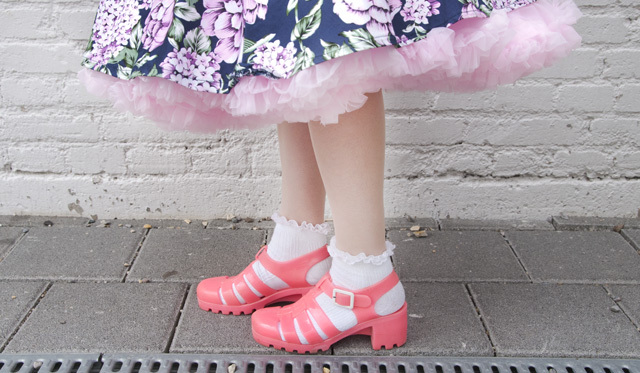 This outfit is so much of bubblegum happiness - I LOVE IT! I adore it!!! everything on it!!!! and your make up is fantastic!! I especially like the shoes!